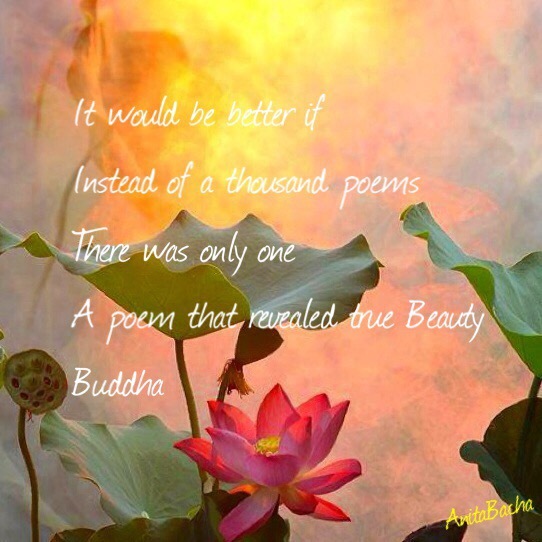 What does Buddha have to say about poems? I found this profound citation in a magazine yesterday. I was at Terminal 4 Heathrow waiting to board the AirMauritius flight to Mauritius. This entry was posted in Citations and tagged awareness, beauty, Buddha quotes, citation, Inspiring Quotes, Journey, Knowledge, Life, poems, poetry, spiritual, teachings ofBuddha, Thought for the Day, traveling by Anita Bacha. Bookmark the permalink.